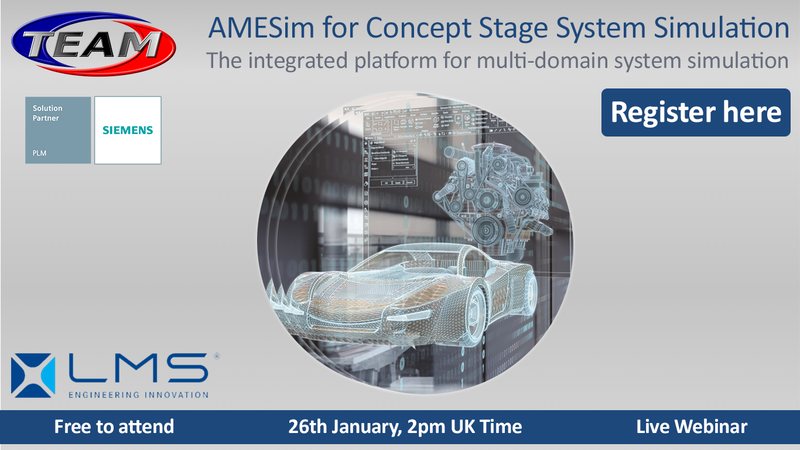 Welcome to TEAM Engineering’s AMESim webinar. Are you interested in knowing more about the role AMESim plays in a business? It’s an intuitive platform that has broad benefits which could help your business excel in system simulation. The platform, which has successfully been on the market for 22 years, has enabled design engineers to understand their systems and is now enabling control engineers to test and optimise their code. Get a head start by registering for our free webinar. Register for our webinar with a live demonstration.